As promised here are some more sneak peeks. Here is the new stamp set Watercolor Trio. The Sentiment and the Flowers come in the same set! Love that. I used the Textured Impressions Embossing Folder Square Lattice for the base of the card and the Pale Plum backdrop for the flowers. For this card I used watercolor crayons and directly colored the stamp. Then spritzed the stamp with water before stamping it on the watercolor paper. This card combines the Enjoy Every Moment Stamp Set which is a current set but I combined it with the new Tropical Party Stamp Set. Well, my Demo Pre-Order of the Summer Mini Catalogs arrived and I got to work creating. I just love these little Party Favor Boxes. They are perfect for holding little stamps and stampin' spot inks for my upcoming workshops! If you would like to have these party favors as a make-n-take at your next workshop be sure to schedule yours with me. Email me (stampinred@comcast.net) and we can come up with a date that works for both of us! Each Party Favor Box comes with it's own belly band. Plus it has interlocking tabs for easy closure! Do you like the new Stampin' Up! Island Floral Bigz Die elements? They are so easy to make when you run them through the Big Shot. Each flower has a little hole in the middle making it simple to line them up for layering. Plus, It was easy to thread the linen thread inside the center to hold the tag made from the Scallop Oval Punch and the Large Oval Punch. Okay, I know you want this now...but it's not on sale yet. Get out your wish list and put it down. They go on sale on May 1st! Stay Tuned for more sneak peek items! From July 15 — August 31, you can join the Stampin' Up! family for as little as $85 with the Mini Starter Kit. Have fun helping friends and family create exciting projects, while earning free products and even a little extra cash! **All products may be substituted for like items; see Mini Starter Kit order form for details. Here is a quick little box of 3x3 cards made with the Urban Garden Designer Series Paper. To make this box you need the BIg Shot Scallop Envelope Die. Four envelopes create this cute little box. It's the perfect little gift to give a friend or co-worker. Happy Mother's Day Dress Cards! I know, I know, where have I been? Well that little bit of laryngitis turned into a cold which turned into bronchitis. So I have been sick and have had no energy but I'm happy to say I'm getting my strength back. Today was a full productive day. My first in a long time so I was happy to see those check marks off of my "To Do List". I still have a long way to go but I'm on the road to posting more. Today I was preparing for a demonstrator dinner/swap on Wednesday night. Our objective is to make a 3D swap with a new set out of the current catalogs. I chose to use the Box #2 Die from the Big Shot with the Parisian Breeze Specialty Designer Paper. These boxes really come together quickly. I made all 15, stamped and filled in a hour. That was while watching "All My Children". I use to be a die hard watcher and have let that go for 3 years. Today I was pulled back in and funny thing...I still knew who everyone was...! It's Kinda hard to see...I stamped the shape for the sentiment over top of the designer paper and cut it out by hand. Then added the sentiment to the center. Each box holds a little bit of Easter Grass...or shredded crinkle paper and 3 Caramel Cremes. They are so good but I resisted the urge. They all made it into the boxes! I hope you all are doing well. I have created all our Card Club Cards today too! So stay tuned for more updates. DON'T FORGET!! Stamp-A-Stack is May 17th! Sign up by May 3rd and you will get to make a bonus 3D project! From the picture it is hard to see the effect of the pastels rubbed over the Textured Manhattan Die. It's soft in person. What I did was take the Regal Rose Pastel and rubbed over the cardstock with a Q-tip. I put up two pictures here to show you the effect. It is the same card just one shot is darker than the other. I used the Very Versatile set again for the sentiment. I kinda like those little sentiments. They don't take up a lot on the card front. Stamp Camp is on Saturday! April 18th 1-4pm. If you want to come I would love to see you. Register here. Pay the $5 Supply fee at class. We may just make the card above. It is a Big Shot Card. If you haven't had a chance to use it yet, come on over. It's so much fun. I've been getting samples ready for our display boards for the Stamp-A-Stack on May 17th! I hope you can join us. We've got some great projects. Plus May is National Scrapbooking Month. We will have more samples of scrapbooking at this event! Do you have all your scrapbooking sitting waiting to get done? Come get inspired at this event. Bring your camera. We will showcase taking a 6x6 page and turning it into an 8 1/2 x 11 page and then into a 12x12 page. Curious...come join the fun! 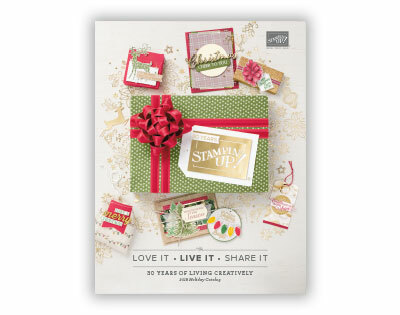 Sizzix has two new pop-up dies for the Big Shot exculsively offered by Stampin' Up! How would you like to receive the card above in the mail? Pop up books as a child were so much fun to read and now you can create your own pop up card. Click on the picture above to take you to the flyer. Be sure to sign up for my Big Shot Classes...you can create these yourself! Join me April 18th 1-4pm for STAMP CAMP!!! It's Back! We will be making cards for a friend who has just been in your thoughts, or a coworker who needs a smile. I'm sure you know someone who needs a little "pick-me-up". Join me as we make special cards, 3-d projects for someone special. You will feel good when making them and your someone special will be thankful that you thought of them. Be sure to register here for the class. $5 supply fee will be collected at the camp. Can't wait to see you! CORENE'S MONTHLY SPECIAL...Join my email newsletter for details. We've set the date for our next Stamp-A-Stack. I hope you can join my downline and I on May 17th 2pm. More info...click here. The box on the left was made from the Big Shot Box #2 Die 114518. The middle is the Big Shot Bag with Scallop 114519 that I showcased yesterday. The one on the right is the new Matchbox Die 114890 that will be available in the Occasions Mini catalog releasing on April 1st. Be sure to check back here on Wednesday for the New Occasions Mini Catalog and special. I love this new mini catalog. So many fun stamp sets! Congratulations to Clair Hyllested...you won the Blog Candy. Send me your address and I will ship it out to you! stampinred@comcast.net I will email you shortly. Thanks to everyone who participated. This project was so easy to create with the Big Shot! Just love the fleurette too. This is the first chance I had to play with them. I can't wait to make something else with them. The Big Shot Box #2 and Matchbox Dies I will showcase next. Come back to see what I've created with those. Cute little Easter designs. Today is the last day of my Blog Candy. If you haven't had a chance to leave a comment, sign up for my newsletter or place a Sale-a-bration order make sure today is the day. I want you to have a great chance to win the products in the previous post. The value of this blog candy is over $100. View the previous post herefor all the details. Winner will be announced on my blog on Sunday. The cards above were made with the Big Shot Movers & Shapers Curly Label Die. It was so simple to use and cards were a breeze to make. If you haven't had a chance to use the Big Shot be sure to attend my next Big Shot Classs April 23rd. We will have plenty of projects to make and they are quick and simple. Come back tomorrow...I will be posting the Big Shot Bag with Scallops sample. I think its too cute. Now after watching the video did you want to try it out yourself? Well you are in luck. My Brand New Big Shot Class/Clubstarts at the end of this month. Mark your Calendars for Feb 26th 6-8pm. 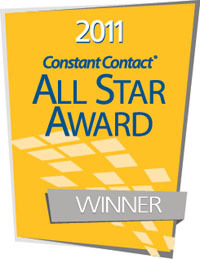 Register hereto attend...can't wait to show you the Big Shot! I'm getting excited. Almost all of the "To Do List" details for the Sale-A-Bration Stamp-A-Stack on Sunday are finished. I can't wait to see all of you and meet those of you I only know via email. We have some exciting things in store for you! I can't wait. As you can imagine this whole week I've been cutting cardstock and prepping for the big day. I haven't done much stamping but I did make this card a couple weeks ago. Its using the Big Shot Scallop Ovals Die. Love it. Except you must remember which way you cut it out because the center oval doesn't fit back into the scallop frame if you reverse the cardstock. Just a little hint for you. You can use this die at my upcoming Big Shot Club/Classes. They start on Feb. 26th. If you just want to see what the Big Shot is all about come on over for the class. It's $10 to cover all the supplies. If you want to purchase the Big Shot on the Layaway Plan then join the club. All the details are to the right under Big Shot Club/Classes and you register for the class on the Class/Event Page. Hope to see you! This was one of the treats we made at Card Club. It's big enough to hold Two of the Hershey's Creamy Chocolate Hearts. Brand New Local and Long Distance Card Clubs Begin March 1st! Big Shot Clubs and Classes will be forming soon. Classes/Club will begin once I have a few people interested. Please let me know if you would like to join this group. Click herefor more information.